Music stores are the ultimate toy emporiums for those of us who are, for the most part, kids who have really never completely grown up. There are so many "toys" to look at in such wonderful places as these, plus in catalogs, and especially online, that their use as professional tools is often overshadowed by their sheer eye-popping fun factor. Music should be fun. I am over 50 years old as I write this and yet, though I have several companies I own and run, my greatest joy is often found in playing guitars and creating music with the nearly limitless array of electronic equipment available. Like most "boys" and I am sure many girls, I also love driving fast cars. I like a vehicle that instantly responds to where I point it and does so with plenty of G force. I can't imagine ever becoming a "GRUP" - a euphemism for "grown-up" from an episode of the original Star Trek television series. 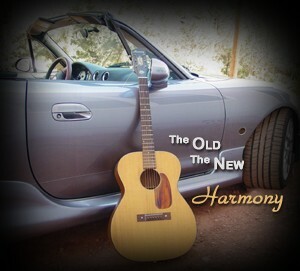 I love old guitars and new ones as well. And I am absolutely fascinated with the newest in recording technology, especially given the fact you can make cost effective recordings of a quality unmatched at any price ten years ago. Of course you have to have the song, the musicianship, and a tasteful arrangement. But even simple things shine when recorded at the resolutions available today. No tape hiss, unlimited takes - basically a musician's dream. And that's what this site is all about. The dreams of music, made available to all who wish to learn along with the encouragement to those who know already how to play well, to begin creating original works that express those things that make each creator special. We're not going to spend much time here teaching anyone to play like anyone else or even more than lightly touch on existing music. We want to foster the new, the cutting edge, the sensuous sweetness that has been absent from mainstream popular music for some time. We want you to continue to stretch the existing envelope and this will be the recurring theme of this publication for many years to come. We've owned the domain Fingerpick since 1998. This project has taken many years to develop to our satisfaction and now it is only a few days from its official launch. Let's take a look at the categories on the left with a brief explanation of the areas each one focuses on and why. Fingerpick, though in a magazine format, will be added to rather than follow the more traditional course of a new issue created at regularly set intervals. We will continue to add to the content of this debut issue until it becomes unweildly, in other words, too full to efficiently navigate. At that time, the existing content will go in to the Archives (Back Issues) section where it will still be available at any time for all that missed it. Before we explore an overview of each category though, let me first show you some video shot last year at Gruhn's in Nashville. Gruhn's is a truly magical place. The video is of a 1944 000-21 Martin that I absolutely fell in love with. Now this kind of guitar, while supremely sweet, is light as a feather and would be of little use for live performance as it is probably much too fragile to handle the rigors of the road, not to mention the fact that it took $12,000 to walk away with it. This is important to understand, for one of our goals here is to show both the practical and the delicate, the cost-effective and the luxurious, the useful and the opulent. For environmentally controlled studio work, I can't imagine a tastier piece of wood and steel. The .MPG's are for Mac people. Windows users should use the .WMV files, a parameter that is recommended throughout this magazine. The second set of video is a close up view and listen to this great little axe. There are Twenty-One (21) categories or departments, if you will, that make up Fingerpick Magazine. We'll give you a brief overview of each one now. Obviously it is intended that you use the links at left above to navigate the site. We feel that the following over view, which will be a part of the debut issue only, will help get everyone started in an efficient way. This site will ultimately provide a huge amount of information. We are in no rush to complete it as it will always be a work in progress and therefore never really, by definition, complete. This cover page will be updated in a month or so and begin the process of regularly updating this page to let you know what is new inside at any given time. Until that first cover update, read the overview of the departments below. All of the categories should have their full initial content online in a week or so. The temporary links to the pages you'll find in the headings below will open new windows that you can close so you can quickly check for new content. The permanent "official" links at left above will take you directly to the appropriate page without opening a new window. They will always be there to guide your way on every page. Check back often and always let us know your thoughts by going to the Contact page. As of 02/04/04, the Cover, Guitar Basics, and the Children and Music pages have content you might enjoy. The Cover Page (you are here now) will serve to introduce the site to first time users and keep all visitors abreast of any new additions to the current content. These additions will be ongoing as mentioned above until such time as it is necessary to put a current issue into the Archives section. So check here first for what's new. You can reach any of the pages from anywhere on the site. We have made sure that navigation is easy and intuitive. The Editorial Section will be updated frequently as new ideas that cover the general subject of the music business arise. Yes, there is politics to music and certain attitudes and trends really cannot be covered in any other way than to "editorialize" about them. You only have to realize that nearly everything you hear about music, whether it concerns genre, style, or the relative quality of equipment and instruments, is based almost entirely on opinion, almost never hard facts. The subjective nature of this field can be both interesting and annoying. No punches will be pulled in the section, but will always be suitably qualified as "opinion." The Guitar Basics area should be pretty self-explanatory. We will take an ongoing look at shortcuts and improvements to understanding chord theory and the basics of the guitar in general including truly efficient tuning techniques and the use of accessories like picks and capos to allow your playing to grow exponentially. No matter what your level of playing ability or how long you have played, we think you'll be surprised to find that there is always something new to try here. The Acoustic Guitar section is designed to be an area where you can really get your ears and eyes on a diverse group of interesting instruments. We will not be doing reviews of the relative quality of instruments. Instead we'll provide video and high quality audio so you can decide for yourself each instrument's design attributes. In this section we will also discuss new cutting edge building techniques and how they relate to sound as well as older design philosophies that have stood the test of time. This section is designed to entertain as much as instruct, sharing with our readers the extreme versatility of the acoustic guitar. The Electric Guitar section will focus on - yep, you got it, the electric guitar. No other single instrument has changed the face of popular music like the electric guitar. Thought of as mostly a rock, blues, and jazz platform, we will share with you the incredibly diverse capabilities of these instruments including fingerpicking and classical and other highly melodic samples. I love these guitars as their simple yet highly efficient approach to reaching an audience is unmatched. This one is gonna be fun as there is little on the web that truly explores the amazing versatility of this instrument. The Tools & Accessories department will cover everything, over time, one could possibly need for maintaining and improving your instrument as well as all the handy necessities required for maximizing your ability to perform. The old and new - the cool and the mundane, each may have a place in the working musician's arsenal. Technical Tips will open a door of opportunity for a diverse group of music industry professionals to share their unique points of view with our readers. All of those little problems, tricks, or enhancements that we so often worry over will be revealed in this continually growing section. We have a number of noted contributors involved already, from top players, producers, engineers, and guitar techs, to master instrument builders, musical electronics wizards, including well known purveyors of musical products who can give you insight on the best way to buy equipment. This may be your first chance to hear from the best and brightest in our business in an in-depth, friendly format of interviews and columns. The Video Instruction area is one of the main focal points of this publication. We'll clearly show you a wide range of techniques - not just talk about them. We will spend very little time teaching you riffs or other artists' songs. Instead we will focus on the true basics of technique that ultimately will allow and encourage each of you to develop your own style and creations. We hope to ultimately learn as much from you as you do from us. This philosophy will permeate all sections of this publication as we find nothing more counterproductive than helping to create clones of other players. We want your individual perspectives and unique attributes to be enhanced. While we truly respect the work of the greats, the music world needs new heroes, not impersonators of old ones. You're never too old or too young to create a refreshingly new piece or style of music. The variables are unlimited as to how one approaches the musical form. We want to help you fly your own aircraft and relinquish your role as merely a dependent seat-belted passenger. So hang on and get ready to fly. - And we expect our readers to take us with them on the journey! The Video Demos section will be both instructional and entertaining where full performances, by those working with Fingerpick Magazine, as well as other contributors, will take you on the sensuous journeys that can only be experienced with both great sound and beautiful video - video that focuses not only on the instrument but on the environment the performance is created within. A sight and sound experience. All files will be downloadble to your computer for more efficient viewing when ever you choose. Audio Demos will be much like the Video Demo Section except for the Video part, of course. MP3 compression technology allows players to create complete works (rather than short snips) at very nice sounding resolutions but whose files sizes are manageable as downloads. Again, we here at fingerpick as well as our contributors will be creating and sharing as well as looking for very creative new directional possibilities. This section will be added to as well until full then archived. Contact info will be provided for sending us your original protected works. Fingerpick Magazine will remain the sole judge as to content acceptability. The Audio/Video Recording section will focus on the tools and techniques necessary to create state of the art recordings as well as musical video pieces with relatively inexpensive equipment. Not cheap mind you, but for less (much less in many cases) than the price many pay for a single handmade guitar. The time of the Independent producer and content provider has arrived and you will be amazed at the level of quality that is obtainable once you know the equipment available and its capabilities. The entertainment world has become enamoured with the visual as well as with high definition audio. You are closer than you may think to having the tools for such creations and compete with the "big" guys. MIDI Simplified is a much needed exploration in what should be a simple process to convert digital information into a very robust array of musical instruments and arrangements. We will de-mystify the world of MIDI (Musical Instrument Digital Interface) and its many uses both as a music production tool as well as its ability to control many of the functions of other MIDI equipped devices. The Performance Sound area will provide detailed looks at equipment that can maximize your public performances. There is a lot of equipment out there and most of it is surprising good, depending of course on the situation. We hope to help you pick the most suitable setups for your anticipated needs. All the basics will be covered, including mics, power amps, mixers, cables, lights, instruments and the hardest part of all - tips for making sure your audience hears exactly what you intend. Guitar Pickups - Now here's a subject that has grown a great deal in the last few years. Well we won't disappoint. We'll let you hear them as we get them, all in the same instrument so you can compare. The section will include both acoustic guitar pickups and electric guitar set ups as well. After all, the pickup is most often what your audience actually hears. The Guitar Amp section will examine various types and brands of guitar amplification systems. With several thousand possibilities, this section should one day be a very comprehensive resource for those who are shopping for "that" sound. There will be high quality sound files of each amp used as well as photos and descriptions of control surfaces and optimum settings. Children & Music is a personal favorite as I not only started playing at a very young age, but have since seen the way the successfully met challenge of a musical instrument can change the life of children in very powerful and positive ways. We'll be looking for your stories as well. The Manufacturers section will provide as much information as humanly possible on the staggering number of music industry equipment manufacturers. From guitars to electronics, you will find info here on them all, including direct contact information whenever possible. The Back Issues or Archives section will eventually have a lot of content. It will be awhile before the current issue is too full to continue and at that time you will be instructed to check out the archives for older content. The Contact Page is where you can communicate directly with Doug and the staff of Fingerpick Magazine. There will be no email links on this site as SPAM is becoming such a problem, we are not going to make it easy for Spammers to glean email addresses. Once you contact us, using the simple form on the contact page, we will respond and establish an email relationship with each and every one of our readers who wish it. We have other high traffic sites we publish at The Andromedan Design Company and we have never gathered ANY information on any of our site visitors. Once they contact us it is typical that a productive relationship develops and this is a two way agreement that we honor above all other interests. The Contact Page is also where you will let us know if you have content you wish to provide, be it music or ideas, for us to share with our readership. We have made a great many friends over the years and expect to make many more through this magazine. Advertising will be a part of this site. We hope to make this a SERVICE to our readers by letting you know of the existence of both manufacturers and retailers alike with links to their websites through banner ads. We will be accepting advertising requests after this debut issue has enough content to justify it. It will be highly cost-effective. We have no interest in selling instructional videos or other training aids. It is our experience that with a little initial guidance, the majority of the work and joy of learning to be a better player is up to the individual and the amount of effort they chose to put into achieving their goals. However, from time to time certain items will be sold on this site to include cd's and dvd's of original music and/or video works by the staff, contributors, and readership of Fingerpick Magazine. We will also make hard to find, highly useful items available here when they are not available from other commercial sources. This may sound a bit mysterious but I assure you we can get certain kinds of equipment and accessories that others may not be able to get or are that retailers are unwilling to stock. We will let you know when appropriate. And finally our Reader Input/FAQ section will contain letters and other communications from our readers that we feel would be of interest to our greater readership. As we get increasing quantities of similar questions or other frequently duplicated ideas, we will put them in this section under the FAQs heading. Enjoy this effort. It is for you this work has been done. And remember to enjoy your musical experiences, though they may be at times frustrating. Playing an instrument really is not that difficult. Truly feeling what you play should be your ultimate goal. Fingerpick Magazine is a publication of the Andromedan Design Company. Fingerpick.com �1999 The Andromedan Design Company. All Rights Reserved. will be expressly indicated where beneficially appropriate. No other use outside this publication is allowed.